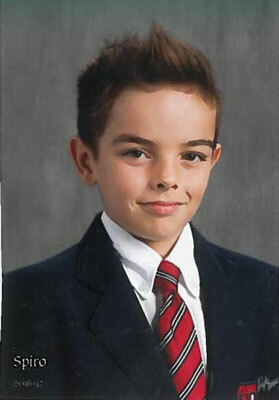 Spiro Fotis Andrianakos asked for donations to support Dr. Petrecca‘s brain cancer research instead of presents for his 11th birthday this year. Family and friends raised almost $900, and Spiro’s parents matched that with a generous gift of $1,000 for a grand total of $1,890! A big thank you to Spiro for his selfless and generous gesture, and to his friends and family for supporting him. Save the Date – A Brilliant Night 2017! A Brilliant Night is a Gala Fundraiser to support life-changing brain tumour cancer research at The Neuro. This year’s event will be taking place on Wednesday, October 18. 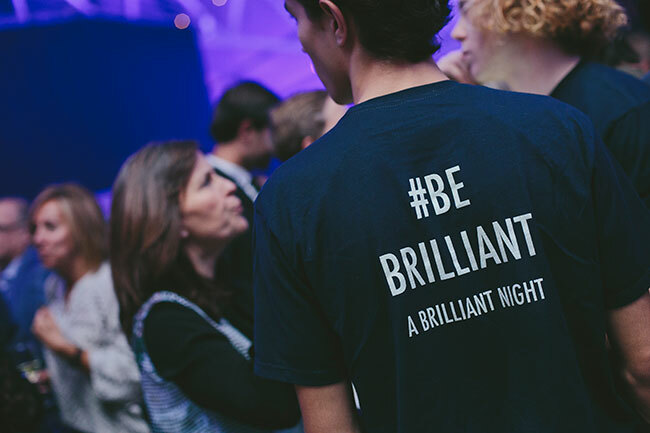 You can play a critical role in A Brilliant Night’s success by sponsoring this major event. Three (3) English Montreal School Board schools (Nesbitt Elementary, Gerald McShane Elementary, and Rosemount High School) created an intergenerational recipe book that was launched at the Cook for a Cure evening in support of Alzheimer’s research at The Neuro. This project was designed to engage students in writing, photography, and other activities as they researched their family’s history. A family recipe will also be shared and featured in the Happiness is Homemade cookbook. On Tuesday May 9, at the Cook for a Cure Gala, select students were asked to recreate their signature dish for a formal tasting and judging by celebrity chefs at Plaza Antique. 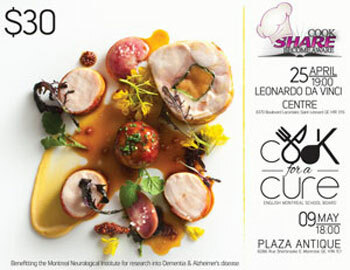 Over the past two years, the Cook for a Cure Gala has raised $26,700 for Alzheimer’s research. If you did not have a chance to attend the event, please consider a donation to Alzheimer’s research. 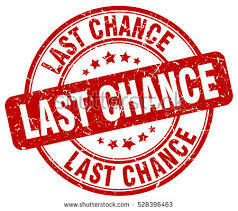 Last Chance to Buy Brain Matters Raffle Ticket! Thanks to Josie Arcobelli and her family for this initiative!